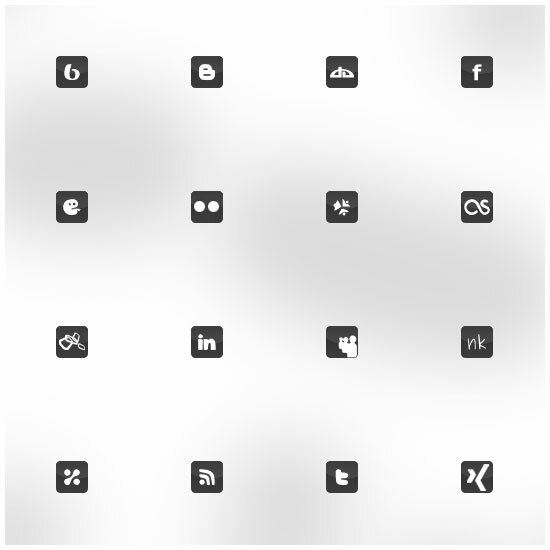 In this freebie icon set, you will find 16 free social media icons for sites that designers appreciate (such as deviantART, Flickr, Twitter, and more). This free icon set is called A Life in Pixels and is inspired by Minimalist design philosophies. The set includes 16 32px x 32px PNG files. These social media icons are monochromatic and can work with many other colors, which is perfect if you are looking for icons that are subtle and muted so that they do not dominate your design. If your website is simple, this is a great icon set to use because it will go with the theme of your web design. Here is a preview of the entire set. This icon set is licensed under the Creative Commons license and can be used for personal and/or commercial purposes. No attribution is needed but it is always appreciated. -for-designers-a-life-in-pixels">A Life in Pixels Icons</a>. A Life in Pixels Icons. Daniele Selvitella is an Italian Web Designer with over 5 years of experience in the web design world. You can see his portfolio at DanieleSelvitella.com. He also runs the site called Rapper.it. If you would like to connect with Daniele, be sure to follow him on Twitter – his user name is @Dsmc87.